Getting my lunch this week, I spotted Marie Claire magazine came with a sparkly freebie! Being a complete magpie I grabbed it and saw it was minis of the Ciate Caviar nailvarnishes in Cookies and Cream and Shooting Star! I've wanted to try caviar nailvarnishes for a while but never stumble across them usually. I tried it out that night and here's the results which I am really impressed with! It's so easy to do (although the box didn't explain how you apply them). All you do is put on a thin layer of the base colour, then when it's dried, put on a thick layer on one nail, tip over some of the microbeads and press them into the nailvarnish, then tip another layer on and press. 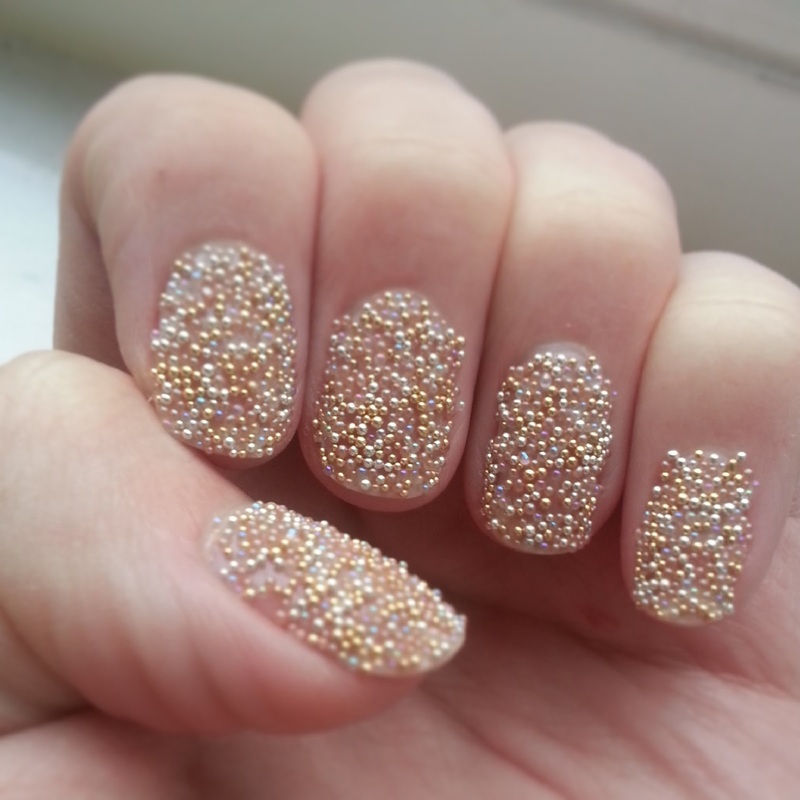 Do this to all the nails and then dab on a clear nailvarnish to hold them on and you have princess nails! I recommend you do this over a bowl to keep the beads that don't get stuck. They have lasted really well, 2 days in and a few are missing but it doesn't look too chipped and they get lots of attention! Definitely worth an investment in a magazine!